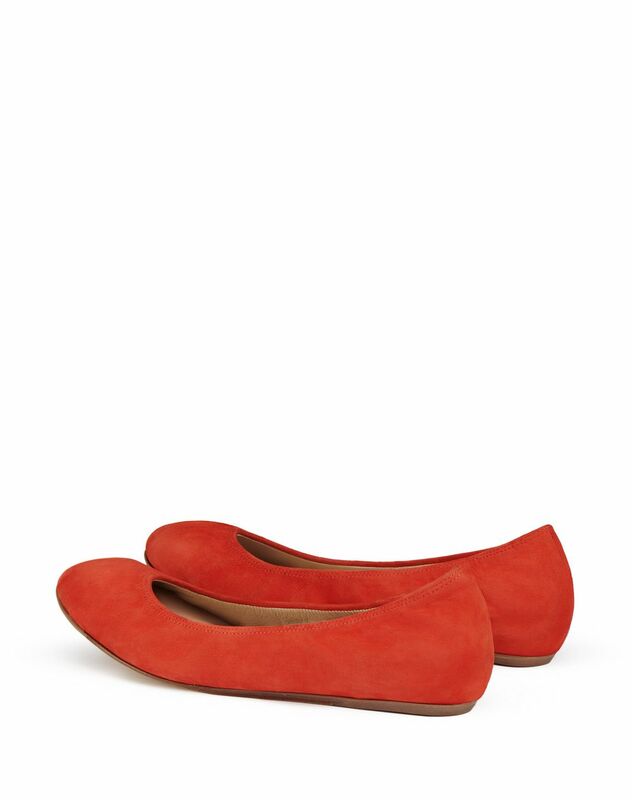 Classic ballet flat in poppy-colored suede goatskin leather, elasticated with tone-on-tone topstitching, calfskin leather lining with "Lanvin" logo and beige insole with gold "Lanvin" logo. 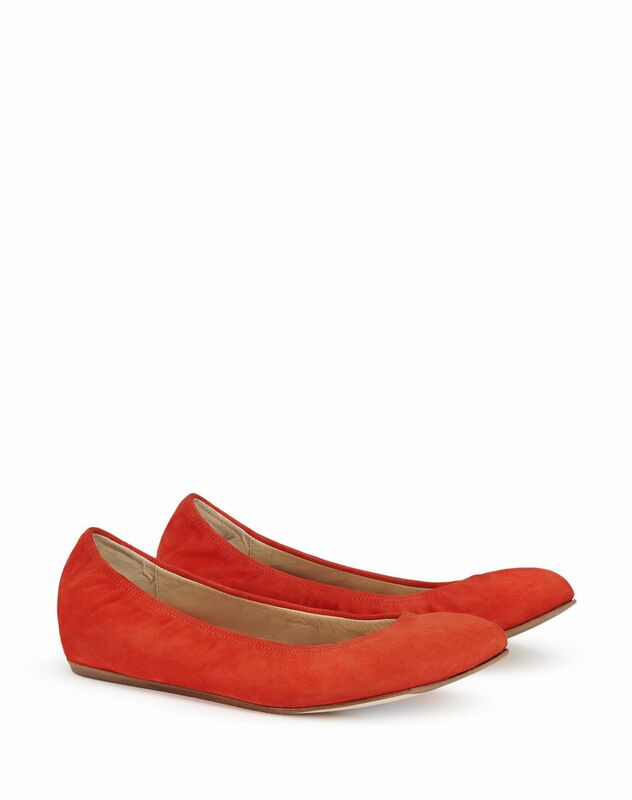 A must-have in any wardrobe, the classic ballet flat has been updated this season with suede goatskin leather and a bright, dynamic color. 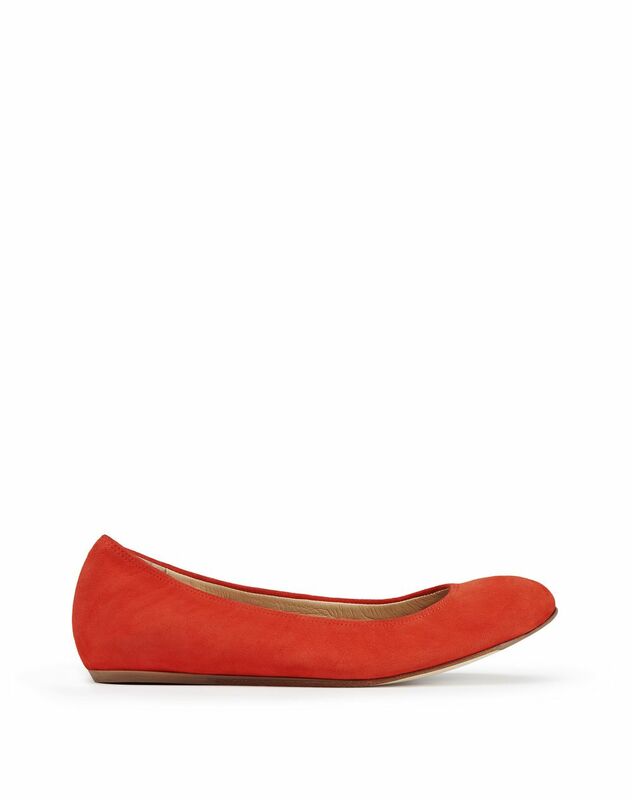 It embodies the successful blending of elegance and functionality. 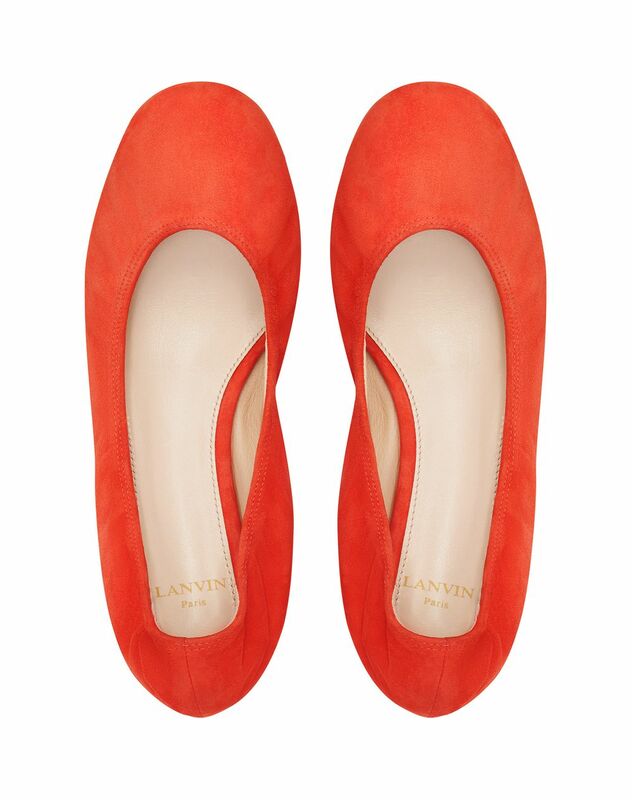 A true iconic Lanvin classic, this ballet flat combines comfort and expertise.